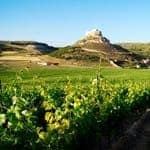 Often overlooked as a wine destination, the Spanish hinterland is a treasure trove of vineyards, producing everything from rich, fruity Riojas to dry, sparkling Cavas. Explore on foot, by car or in a group to discover small wineries with passionate producers, and combine tastings with discovering Spain's wonderful gastronomy - one plate of tapas at a time. In a nutshell, we are passionate about Spanish wines and gastronomy. Spain is our home and we use our in-depth knowledge, passion and matchless contacts to create unique and authentic experiences, perfect for a short break. From one day wine tours to gastronomic road trips and walking holidays, we have a choice of options departing from a wide range of cities. 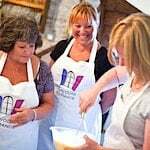 We organise your transportation, characterful hotels and an expert local driver/guide so you can relax, enjoy the superb food and savour the wines. Our two- and three-day short breaks run from Madrid, Barcelona, Andalusia, Bilbao and San Sebastian. 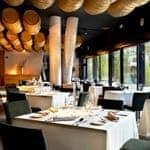 For example, our three-day escorted Madrid to Barcelona tour takes in five wineries in the Ribera and Rioja regions, two top notch lunches and time in Segovia, Burgos and Laguardia, staying in charming regional hotels. 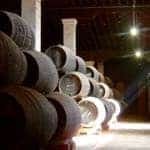 If you’re a fan of Rioja’s wines, you will love our Barcelona to San Sebastian tour – stay in a gorgeous castle for two nights, enjoy three winery tours and traditional Riojan cuisine. There’s a selection of self-guided four-day walking tours with gastronomy top of the itinerary each day – we transport your luggage for you from hotel to hotel, and a collection of longer road trips with great local gastronomy and hotels en route. If you are in Madrid, Barcelona, the Rioja region, Andalusia or Ribera del Duero, you can join one of our one-day wine tours either as part of a group or privately. Find out more about our wine and gastronomy breaks in Spain.